The installation consists of an open tent with two videos, one playing outside the tent (Welcome to Finland, duration: 7:43 min) and one playing inside the tent (Immigrant Birds, duration 14:22 min). 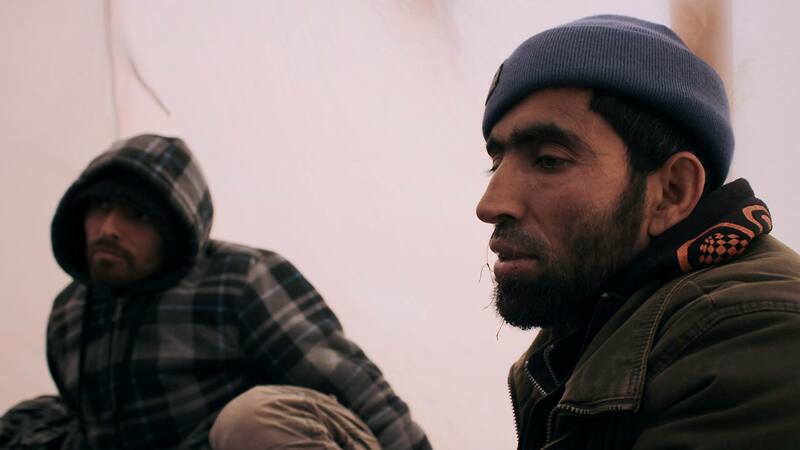 In autumn 2012 in Helsinki, two Afghan asylum seekers held hunger strike for 71 days. They camped in Kansalaistori during the night and protested in front of the Parliament house during the day. The men had applied for asylum in Finland and were frustrated with the long waiting times and previous deportation decisions made by the immigration office. 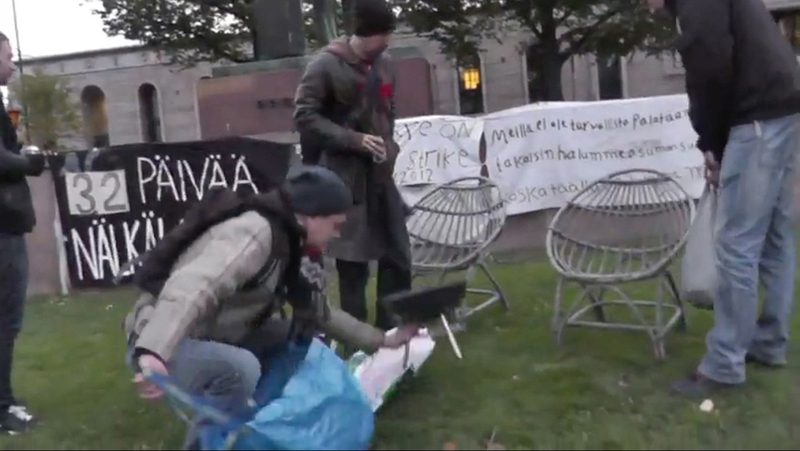 Their public protest was mostly neglected by the media, apart from an online documentary project that published a racist video of young Finnish men barbecuing pork and drinking beer at the hunger strike tent. Barnacle Goose is an arctic migrant bird, which has in recent years increased its population in Southern Finland. The Barnacle geese gather in big herds and squat parks and other green areas. Afghans seek international protection because they can not live in Afghanistan. 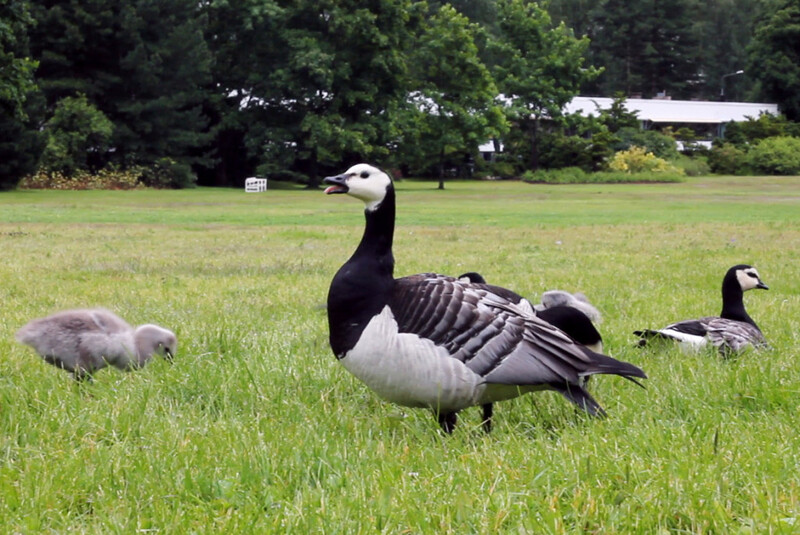 Barnacle goose is protected in all its habitats. The attempts to limit the number of geese in cities includes trying to make their favored habitats less attractive. The number of asylum seekers is also kept low by making the application procedure difficult and secluding the asylum seekers in reception centers, away from the eyes of those living in cities. The Afghan hunger strikers and the barnacle geese are connected by how they claim public space and thus create public discussion. The discussion about the geese resembles the anti-immigration debate. Some arguments state that the geese make cities more colorful, but even more arguments oppose this by stating that there are too many geese and they are a burden to the people living close to them. “Invasive species have a tendency to claim their territories and breed rapidly”, writes one anonymous online writer on an anonymous message board, either about the geese or the asylum seekers. Welcome to Finland from Anna Knappe on Vimeo. Immigrant Birds from Anna Knappe on Vimeo.